Pat joined J M Brown Financial Partners in November 2013 as Operations Manager, making sure that our clients have an optimal customer service experience. Pat brings to the firm over 34 years of experience in the financial industry primarily focusing on customer service. 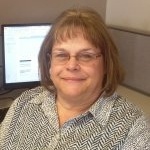 Pat started her career at a smaller financial institution in Tulsa OK in 1979. She then moved to First National Bank of Tulsa in 1984. Since that time Pat has worked with clients opening new accounts, savings products, alternative financial products, car loans and mortgage loans. During Pat's 34 year career she has worked for Liberty Bank, Bank One N.A. and spent the last 8 years at Chase Bank N.A. where she managed a very productive and successful branch. Pat served as Treasurer for 7 years on the Executive board of the Hispanic American Foundation. She enjoys spending time with her grandchildren and fishing with her husband.